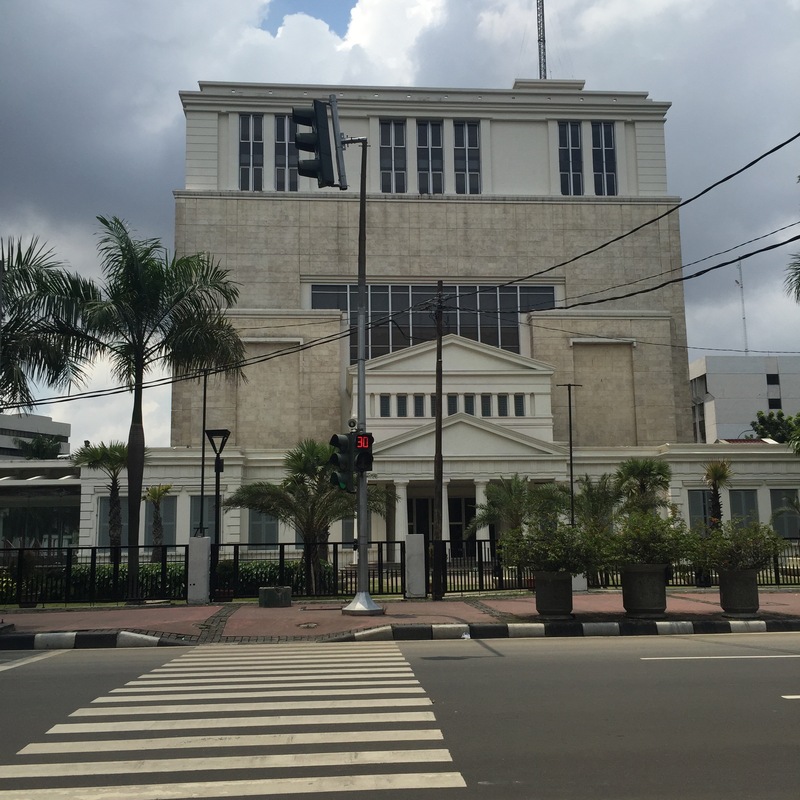 Being a tourist in… Jakarta! Last weekend I did something out of the ordinary. With a friend of mine – Della, I became a tourist in Jakarta. Yep, we had a mini-holiday and ventured around town! 😀 So what did we do? First, we took the train. We started our journey not too early, around 10.30AM in Sudimara station close to our houses. 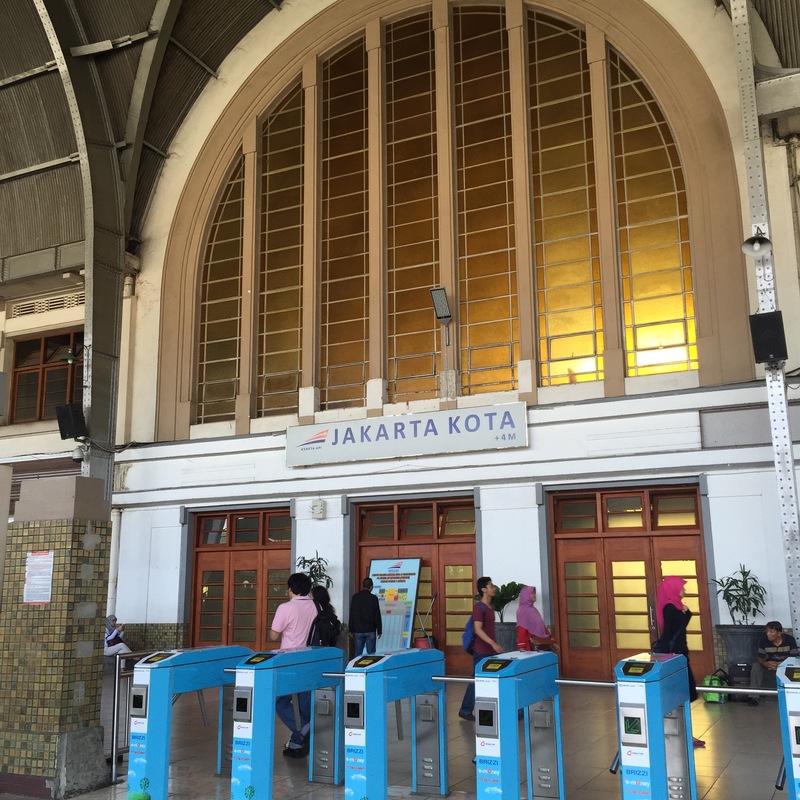 Our destination was Jakarta Kota station in North of Jakarta. It was, indeed, a long train ride as we had to change 2 lines. 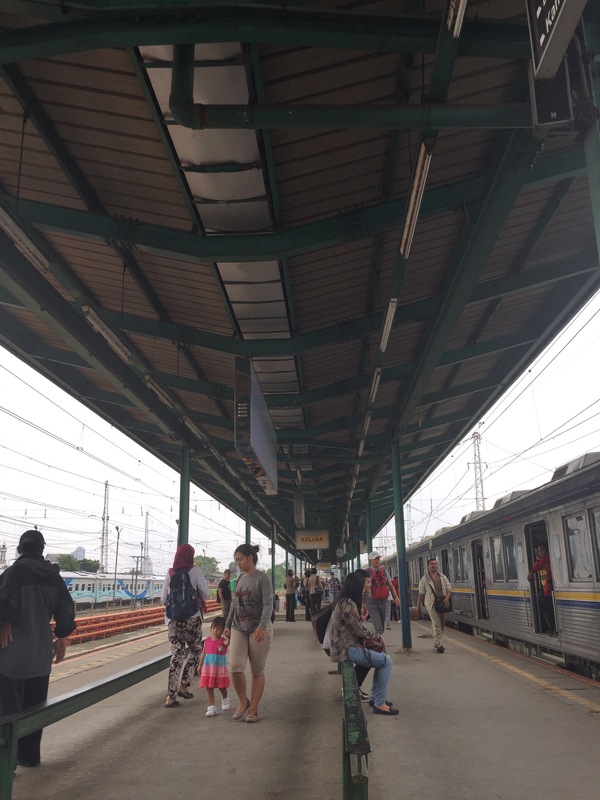 First was Sudimara – Tanah Abang which was an approximately 35mins ride. Then at Tanah Abang we had to change to Manggarai line – took us another ~30mins. To our surprise, Manggarai station was interesting! It’s vintage, big, and clean. Plus, it has a Starbucks store. A vintage one! We stopped for awhile to have coffee and snacks, because it’s lunch time already. 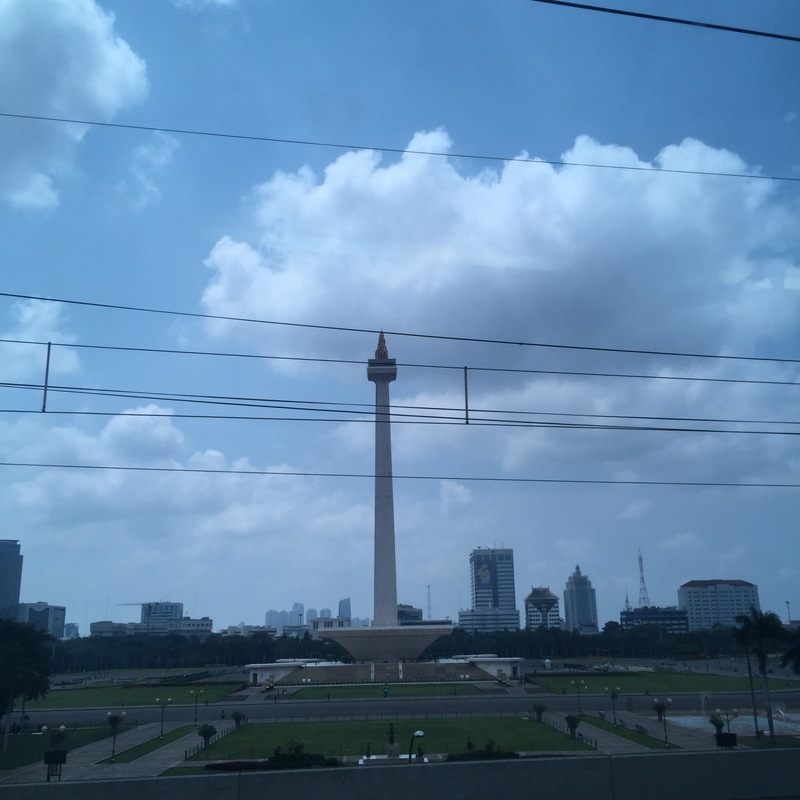 With that kind of view, our train ride was very much enjoyable and we almost did not realise when we reached our destination, Jakarta Kota Station. It was around 1PM when we got there. Second, we had lunch plus a little bit of sightseeing at Kota Tua Batavia. Though we had some snacks on our way, we felt hungry again so we rushed to Jakarta’s Kota Tua Batavia to find something to eat. Since it was mid-day, the weather was soooo hot! 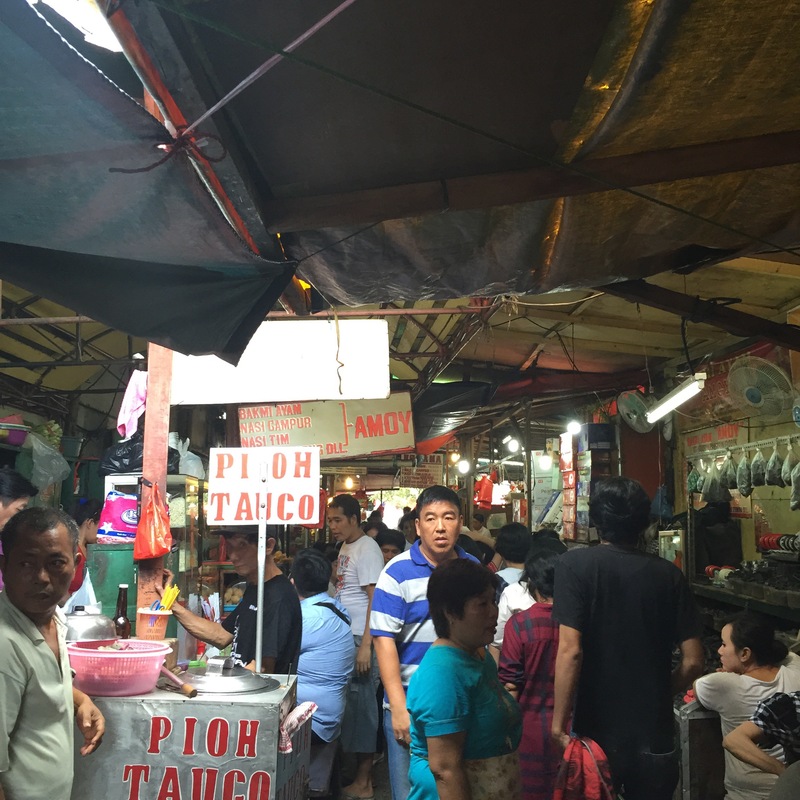 We did not get to do a lot of sight seeing and went inside the first air – conditioned restaurant that we could find. It was Historia Food and Bar. The exterior looks very interesting, right? 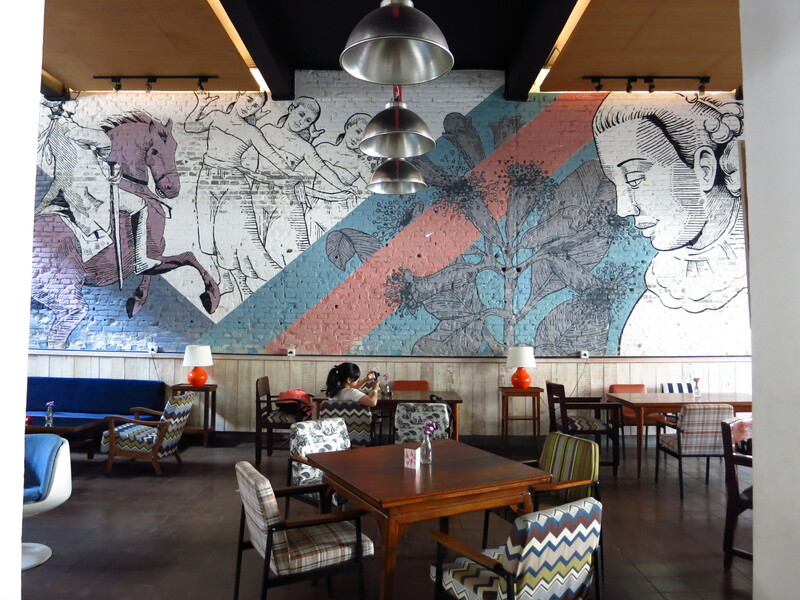 The restaurant, which has vintage interior, serves Indonesian food. The food was good, and the atmosphere was very cosy. I guess it’s either because we were very hungry or we enjoyed the atmosphere very much that we did not complain when each of us had to pay around IDR 75.000 for food and drink. Not so much a backpacker’s meal but we did not complain, hehehe. Third, we travel through time at Museum Bank Indonesia. After having our lunch, we went to our next destination – Museum Bank Indonesia. Both me and friend never been to this museum before. We did not have a lot of expectations when going in, but feeling very much excited when we left. The museum was really interesting! It was about Indonesia’s monetary activities and currency, started with a history of the nation’s trade, until the latest monetary crisis. I took Social Sciences major in High School but there were a lot of historical facts that I did not know before. Plus, the building was unique as it’s a vintage building. Fourth, we took the Transjakarta bus to Sarinah. From Jakarta Kota Station, there’s a straight busway line to Sarinah, where we spent some time to wander around Jalan Sabang. We then decided to watch a movie because we had nothing else better to do in mind, hehe. We watched The Imitation Game at Djakarta XXI (Previously Djakarta Theatre), and I have to tell you… the movie is class! 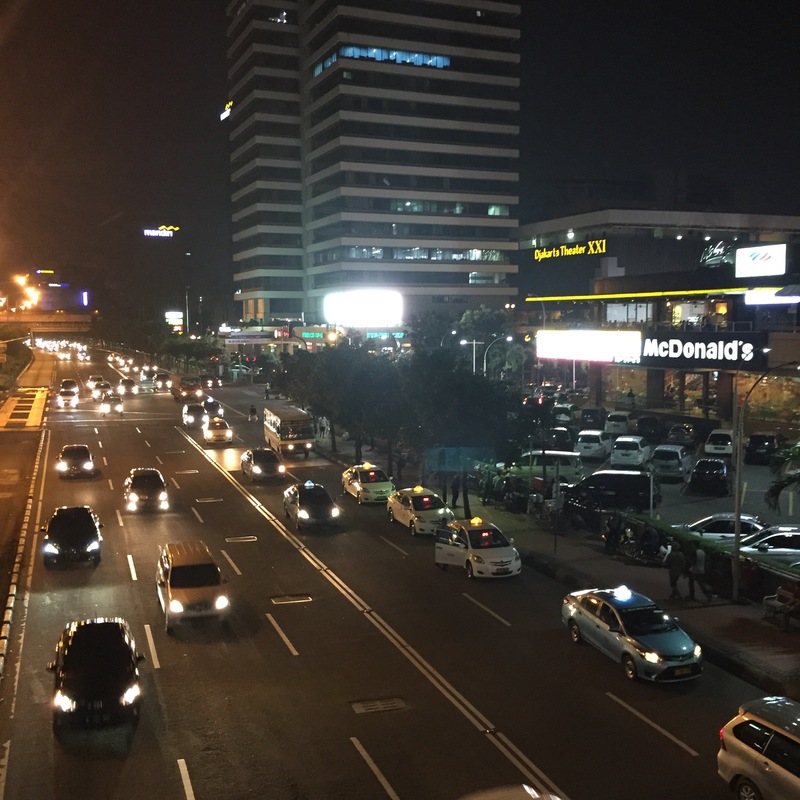 After the movie, we went back to Jakarta Kota area (this time using a taxi because it was quite late) because we are going to spend the night in the area! Fifth, we spent the night at Teduh Hostel Kota Tua. 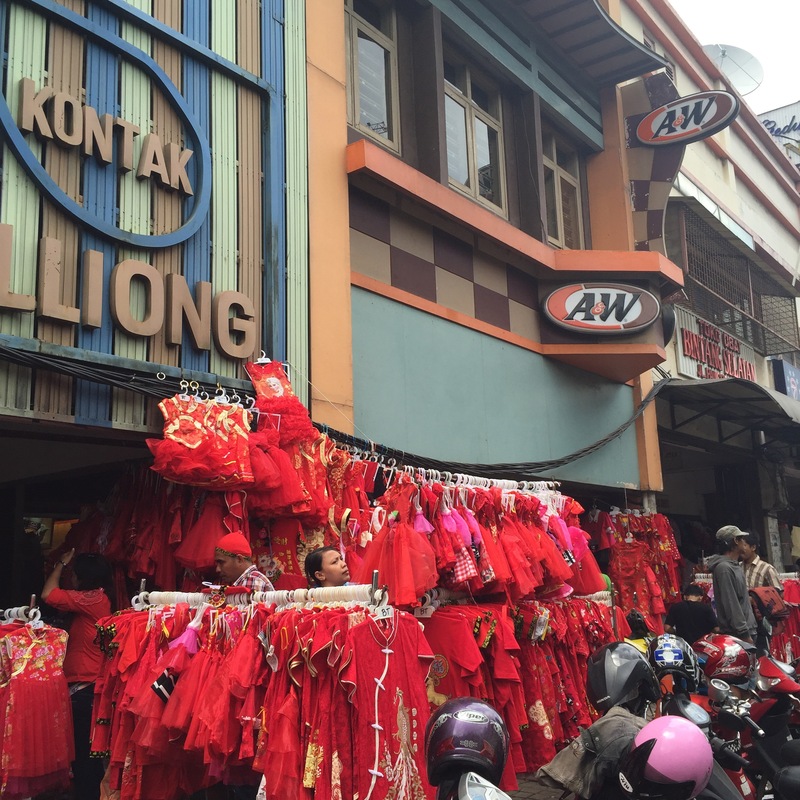 Sixth, we wander the busy streets of Jakarta’s Chinatown in order to try one of the town’s oldest coffee shop. 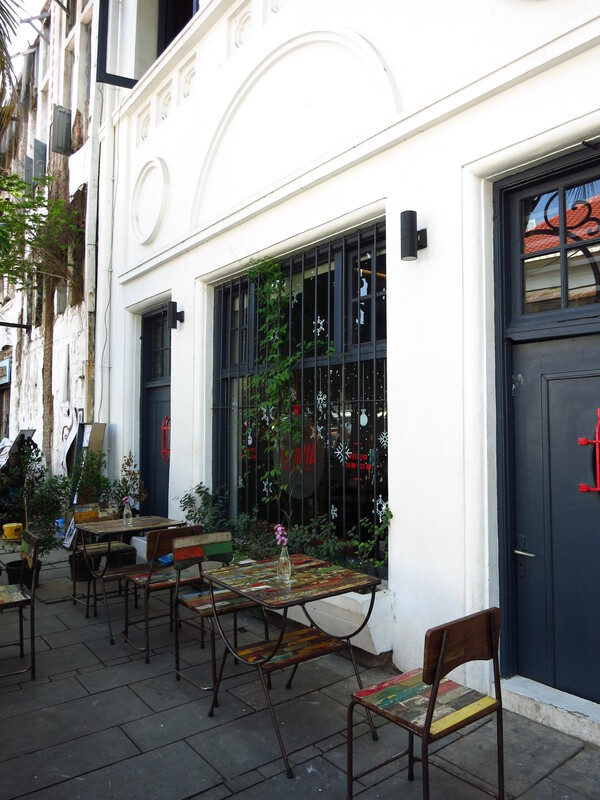 The next morning, we checked out of the hostel and based on the hostel staff’s recommendation, we walked to Chinatown to find what was said to be one of the best and oldest coffee shops in Jakarta – Kopi Es Tak Kie. It is nestled in small and busy alley which is known as Gang Gloria, might be a bit hard to find if you’re not familiar with the area like us. But worry not, it’s easy to ask for directions from people in the area because it’s famous. 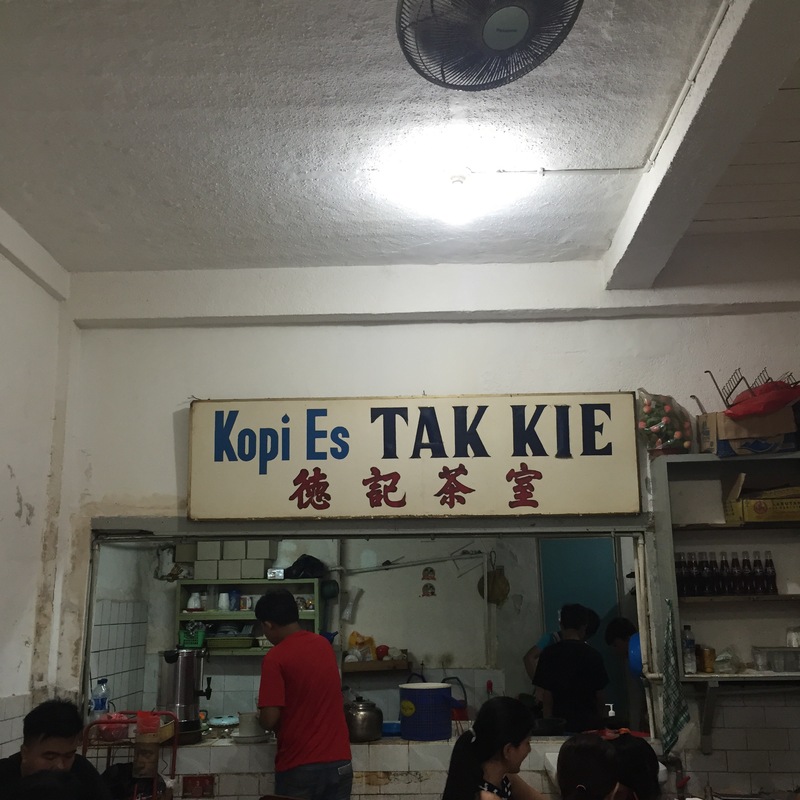 Serving you coffee since the 1920s, Kopi Es Tak Kie do not have sophisticated menu. When we sat down, the waiter only offered us iced or hot coffee, with or without milk. We both ordered Ice coffee with milk and boy… it tasted so gooood! Worth the walk and the confusion to find this shop. Last but not least, we made another trip through time at Museum Nasional Indonesia. 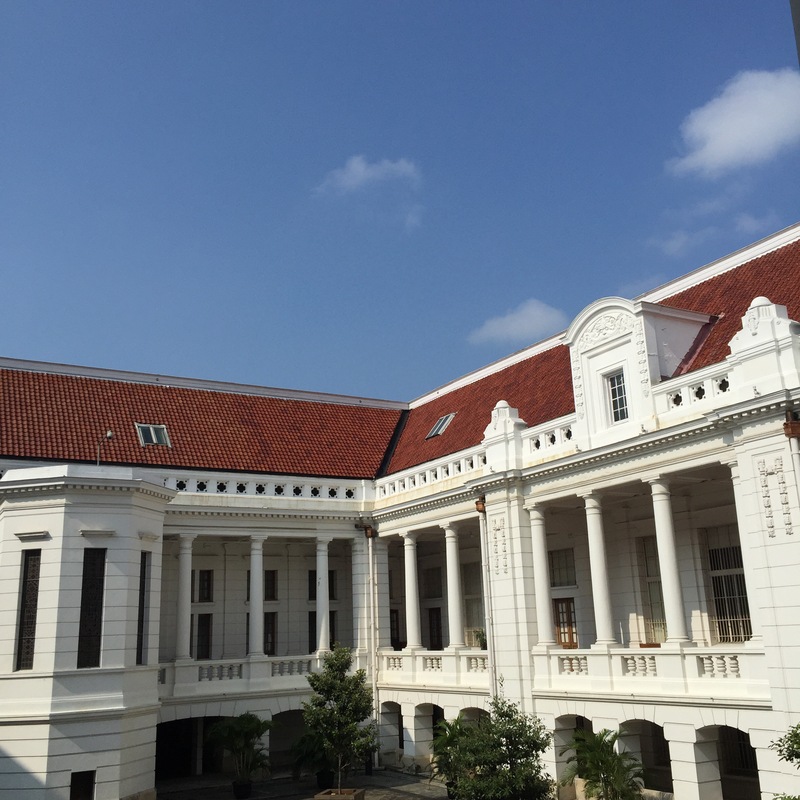 Before we went home, we decided to stop by another museum – Museum Nasional Indonesia. The museum is huge! Again, I have never been there before so I had little expectation. But, I left feeling very much inspired. Sebagai orang Jakarta, kayaknya saya merasa kuper membaca postinganmu ini. Hahaha. Gak pernah ke stasiun Manggarai. Jadi agak kaget juga ada starbuck di situ. Hahaha. 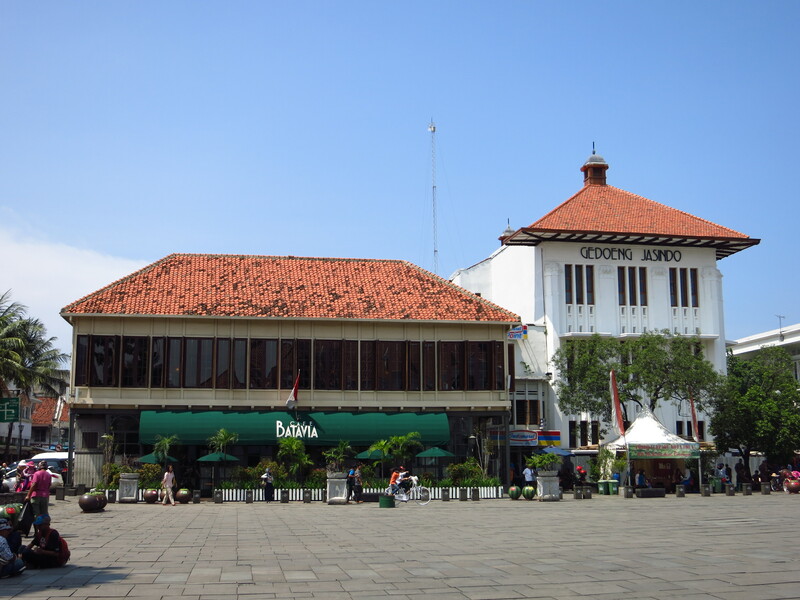 Gak ke Cafe Batavia ya? Vintage abis. Tapi pricy. Haha. But for taking pictures there… Breathless. Makan mie ayam gak di gang Gloria? Sayapun pas jalan2 kemarin merasa kuper bgt, banyak bgt hal yg selama ini blm pernah diliat di Jakarta hehehe. Kafe Batavia memang mahal sih. Hahaha. Tapi sekarang yang di sana memang restonya agak mahal. Kalau mau ya yg pinggir jalan. Senggol got itu. Hahaha. Iya. Mie di sana enak. Eh. Kamu makan b2 gak sih? Kalau gak, ya gak disaranin deh. Walau tulisan halal. Hihi. Paling suka Bakmi Amoy. Mangstab. Ah Kopi Es Tak Kie dengan segala kesemrawutan di lorong depannya. Jadi pengen ke sana untuk makan lontong cap go meh. Oh dia jualan lontong cap go meh ya Tje? kemaren ditawarinnya nasi campur cuma karena ngga makan babi jadi ragu haha jadi ngga makan deh.. ngopi doang. Itu Es Kopi nya juara banget!!! Chichi! Thanks for sharing this yaaa!!! Aku lagi butuh jalan2 terus kamu ngepost ini hihihi.. Jadi semangat 😀 thank youuu and miss you! Woww..! 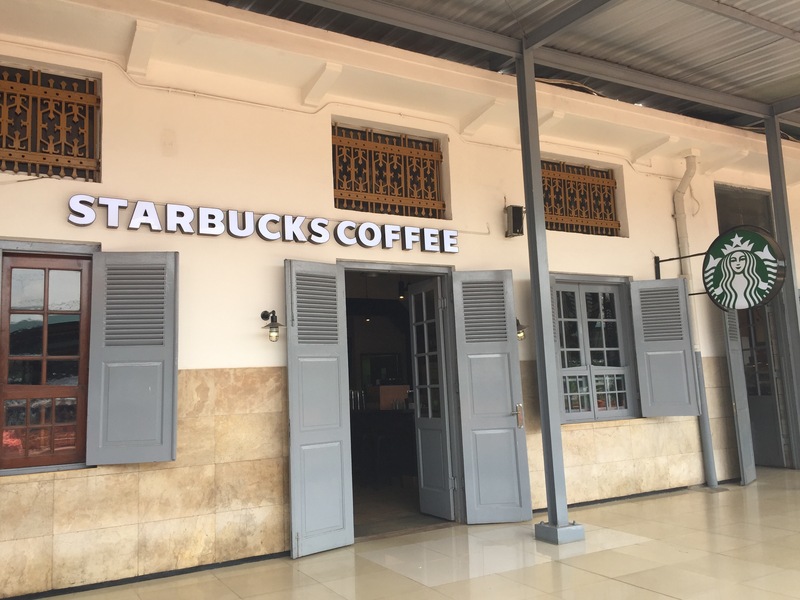 Ada Starbucks di Stasiun Manggarai itu mengejutkan…! Walau sebetulnya lebih berharap tongkrongan lokal non-franchise buat ngupi-ngupi huhu – tapi lucu juga dengan nuansa vintage-nya. Pas aku di jakarta juga suka jalan-jalan ke Kota Tua, sadly I didn’t get the chance to check Historia cafe. Harus jadi target berikutnya kalau ke Jakarta nih..